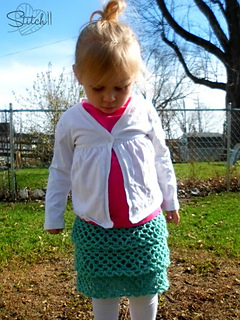 This Ruffle Crochet Skirt is a great pattern to make for your little girl. It stops just above the knee, but can easily be made longer. Add bows or ribbon for added accessory, or even crochet a matching hair piece. 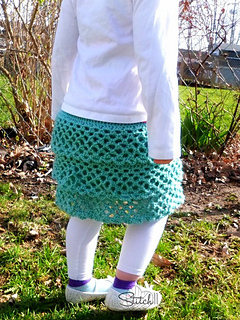 This crochet skirt is perfect for all seasons because of the layering, and it can be worn in the summer with bare legs or paired with leggings in the winter. 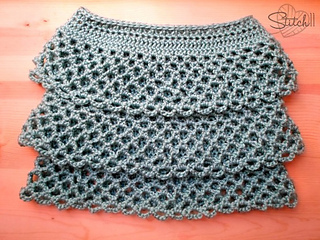 The Ruffle Crochet Skirt pattern is written from the bottom up. It’s a quick and simple crochet pattern that easily gives you the “wow” factor.